Picaridin Insect Repellent Lotion | BUDK.com - Knives & Swords At The Lowest Prices! Mosquitoes can be deadly because they carry viruses and spread them throughout the population. 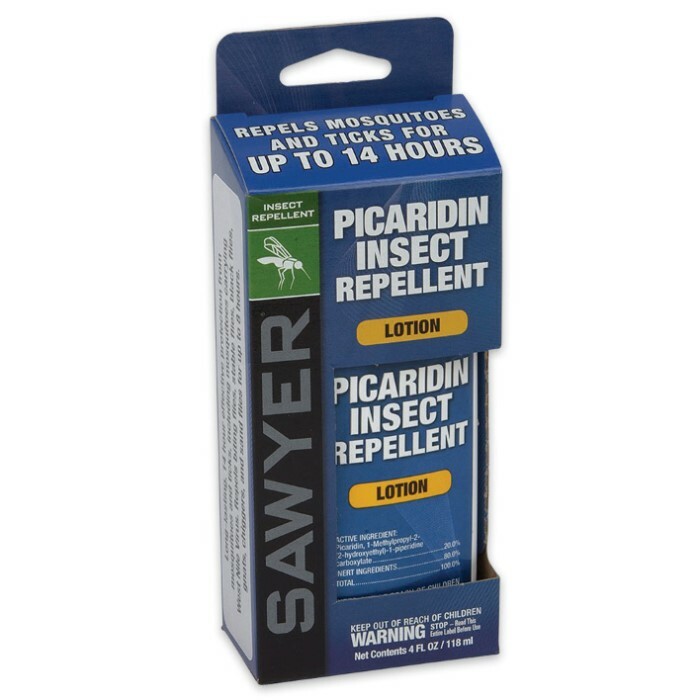 The best defense is a good offense so let yours be Picaridin Insect Repellent Lotion. It has a similar effect to DEET, yet it won’t harm gear and equipment and it works just as well. Unlike DEET, it also repels biting flies, stable flies, black flies, gnat, chiggers, and sand flies. 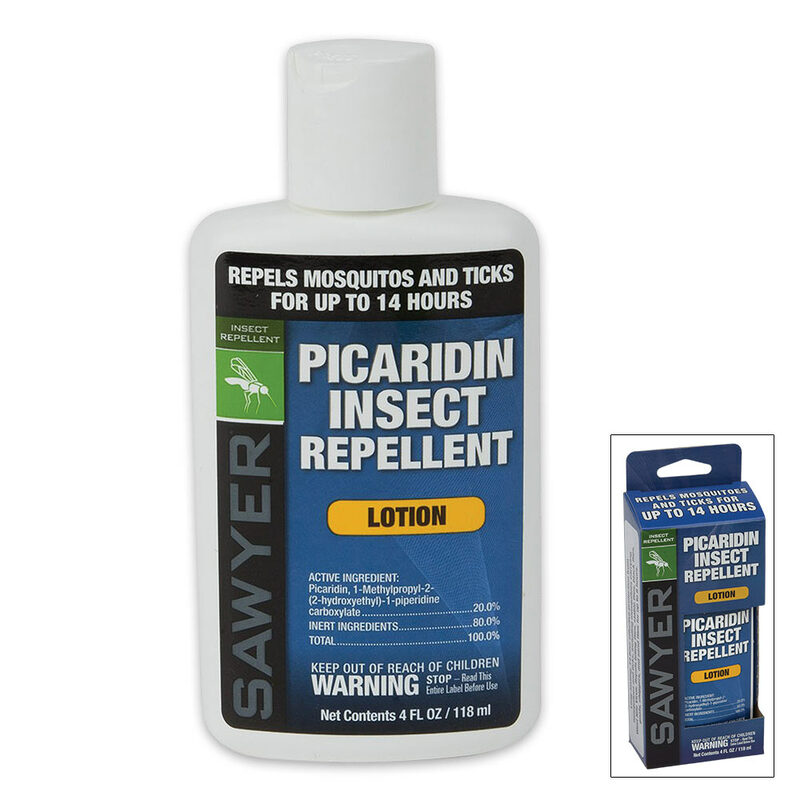 This lotion contains 20% Picaridin, which is a long lasting topical insect repellent that is effective up to 14 hours against mosquitoes and ticks and up to 8 hours against biting flies, gnats, chiggers, and sand flies. Wow, works on knats too!! Amazing!! !